Why help build leaders through summer camp? 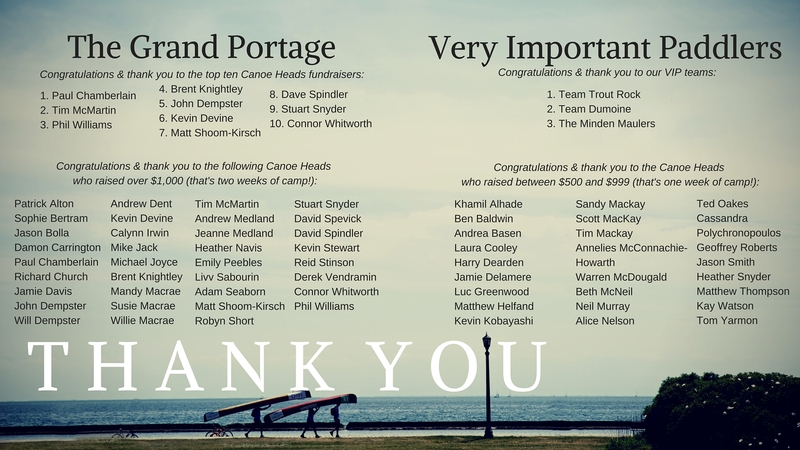 By supporting Amici’s Canoe Heads for Kids, you are providing deserving Toronto youth with a summer camp experience that they otherwise could not afford. These experiences allow kids to discover their full potential through the unique environment of overnight summer camp. Amici also helps kids develop 21st century skills like leadership, tenacity and resilience; all while being surrounded by beautiful Canadian wilderness. At camp kids get to know others who are different, discover unexpected similarities with kids from different backgrounds. The summer camp setting encourages children to explore, take healthy risks and expand the limits of their physical abilities. A typical daily camp program is action-packed, challenging young people to try new things, develop an appreciation for their surroundings and new ways of thriving in the world. Thanks to you, Amici campers get to attend one of Amici’s 40 amazing partner camps across Ontario. These camps provide a safe and supportive environment in which children are encouraged to discover their full potential. Life skills such as leadership and self-confidence are earned and developed over time, and your support of Amici’s Canoe Heads for Kids goes a long way: Amici commits to sending a child to camp for as long as he/she is old enough to attend. Once through their individual camp programs, many past Amici campers have been hired on as camp staff at their respective camps! As for the summer 2016, Amici has already seen a 20% increase in Amici campers in leadership programs! Summer 2016 marks Amici's 50th year of sending kids to camp. If you’re like us, when you think about camp, you think back to meeting life-long friends, conquering fears, learning who you are and who you aspire to be. Camp has the power to unlock kids’ full potential and gives kids the opportunity to become leaders. That's exactly what Amici has done for 50 years! Thank you! You are building leaders and changing lives through summer camp! Join us as we celebrate 50 years of building leaders, and toast to 50 more! To learn more about Amici's 50th anniversary initiatives, call us at 416-588-8026.